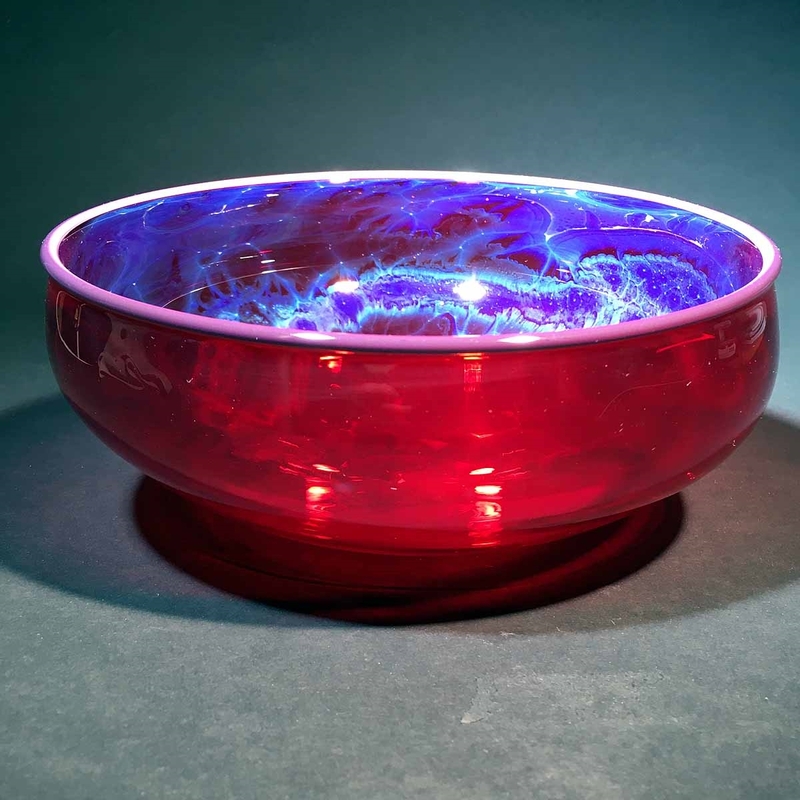 Hand-blown glass bowl in translucent ruby glass with applied reactive silver decoration and clear glass overlay. 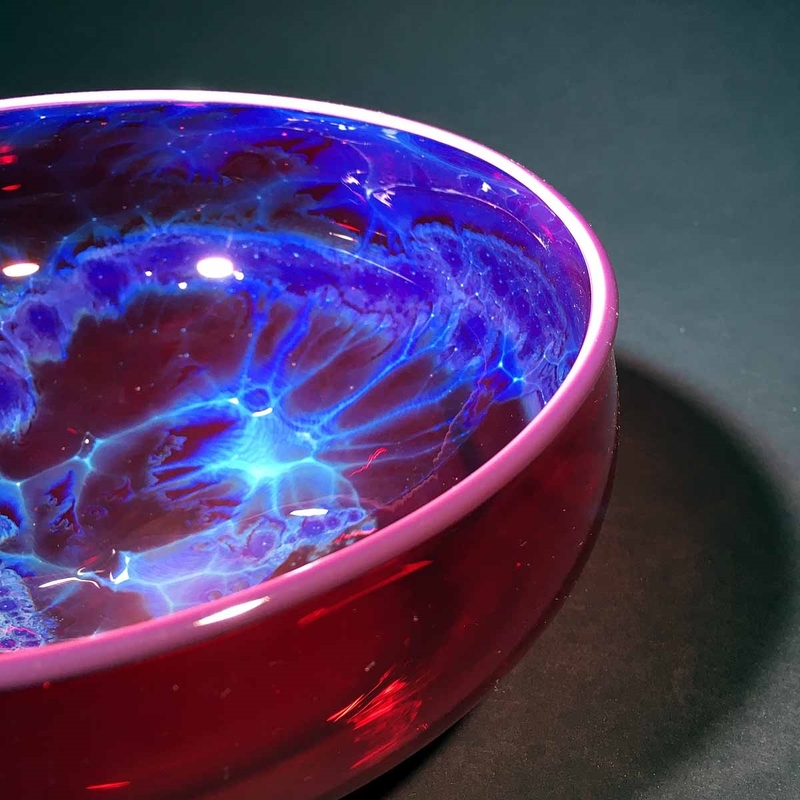 This bowl features a purple lip wrap. 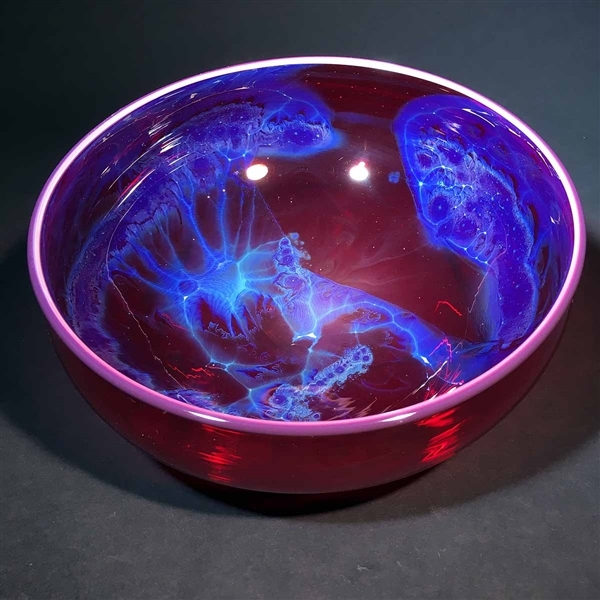 Very limited availability! 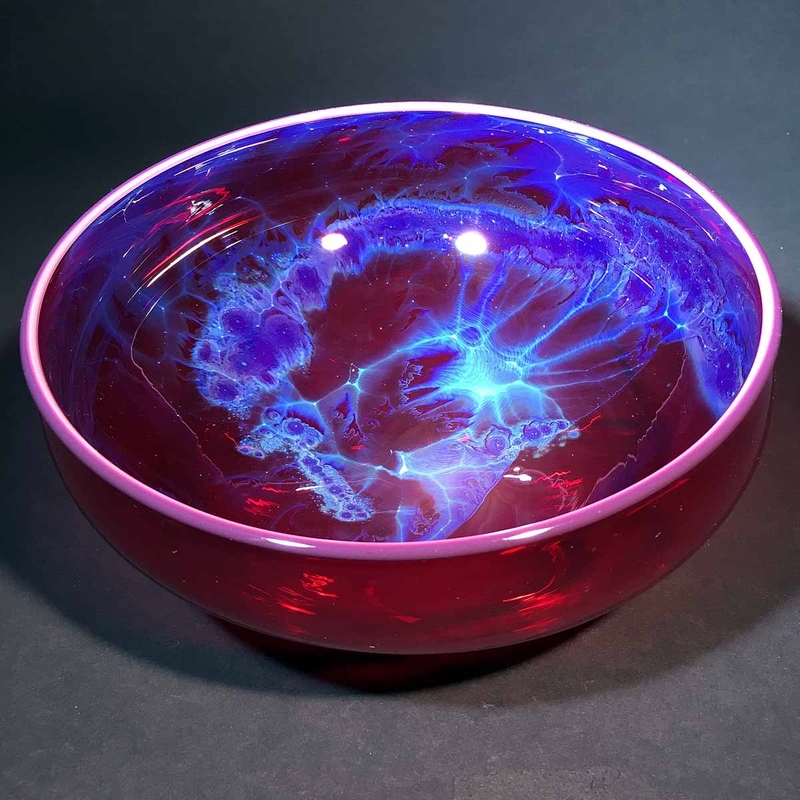 Ruby New Mexico has a magical shade-shifting quality; strong lighting will bring the blueish-purple New Mexico patterning to the forefront, while more diffuse light allows the bright ruby glass to take center stage.